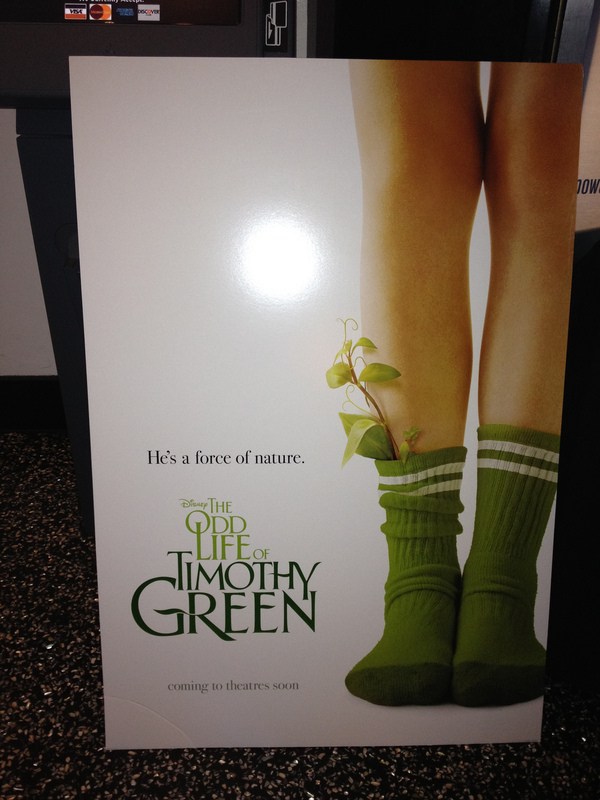 The Odd Life of Timothy Green: Are we called to be odd? I saw a weird movie this weekend. That’s a stupid way to start a review, but that’s just how I’m going to do it this time. I use the word “weird” because the movie I saw, The Odd Life of Timothy Green, was in fact weird. Now don’t get me wrong, weird can be good. Weird is capable of great things. And in this case, weird is good. The film, starring that girl from Alias (Jennifer Garner), and that guy from Warrior (Joel Edgerton), tells the story of a couple who, after years and years of trying, is unable to have a child. But when they are at the brink of giving up, something extraordinary (and odd) happens. The night the couple finds out they will not be able to have a child of their own, they take solace in talking to each other about what their child would be like. They write down all the characteristics of the child and place it in a box, which is buried in their garden outside. This gets them through the night, and they go to sleep as content as they could be. In the night, the couple is woken by a loud storm. They wake up and turn on the lights, and to their surprise they find a young boy running around their house. They do not know where he came from, but he tells them his name is Timothy – the name they had already picked out if they were to have a boy. The situation gets even more strange when Edgerton’s character looks outside to find that the box they had previously buried is gone and the boy has apparently arrived through a hole in the garden. The couple soon finds out that Timothy is not your average ten-year-old (as if the whole arriving from the hole in the ground thing didn’t give it away). He has an oddity – there are leaves growing from his legs. But this does not stop the two from taking him in as their own, especially since he calls them “mom” and “dad’ from day one. To make a long story short and avoid spoilers, Timothy ends up being everything his parents wrote him out to be the night they sat together and talked about their child. But the characteristic that stood out, and made him even more odd than the leaves on his legs, was that he was someone that would “love and be loved.” In his interactions with everyone he met, Timothy showed love. And this is not an I’ll-love-you-because-I-have-to kind of love, this was an I’ll-love-you-because-I-WANT-to kind of love. Whether it was with his sick grandfather, bullies at school or his self-absorbed aunt, Timothy showed everyone love, no matter how they treated him. Living this way is odd in our world today. I learned a lot from the kid with leaves this weekend. Timothy changed the way people acted by the way he acted toward them. His love was contagious, and it brought out the best in people. Timothy was a cinematic example of what a Christ-follower is called to be; someone who loves everyone unconditionally, someone who lives to live for others. That is what Timothy was, and that is what Christians are called to be. I recommend you check this movie out and see what I’m talking about. It won’t win any awards, but it sure will leave an impact on your life.